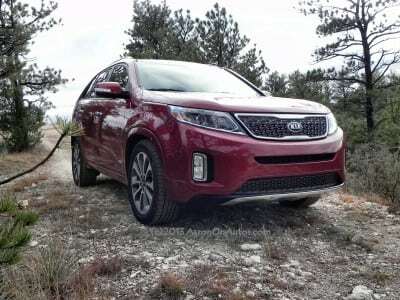 Most people don’t normally associate Kia with luxury or comfort, but the Korean automaker has come a long way towards Americanizing its vehicles since it began designing and building them here in the U.S. and the Sorento may be the pinnacle of its achievement in that regard. The 2014 Sorento is far more luxurious than one might expect for a sub-$40k crossover. The 2014 model year of the Sorento sees a big overhaul for the Sorento. Styling has been slightly updated to denote a more contemporary, but sporty look while the interior sees an almost complete makeover. 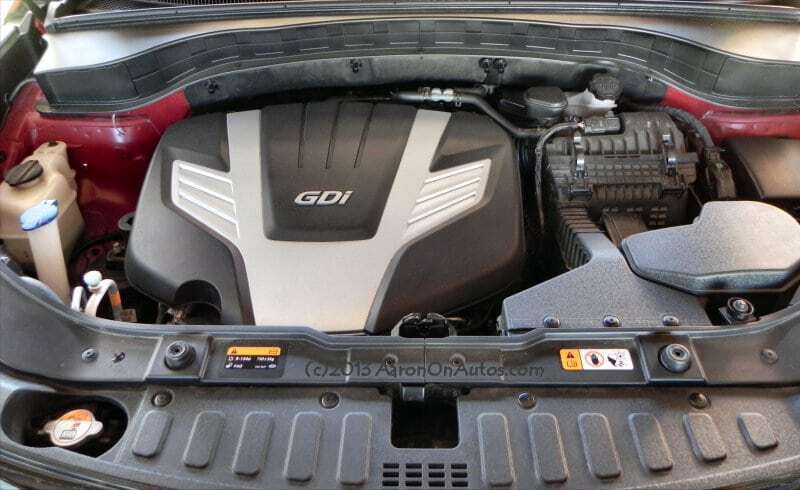 Finally, the engine options have been revamped to introduce a very svelt V6 to fit in above the capable 2.4-liter four-cylinder that replaces the underpowered base four offered last year. Technology, including the Uvo system, and ride quality have also seen major improvements this year. 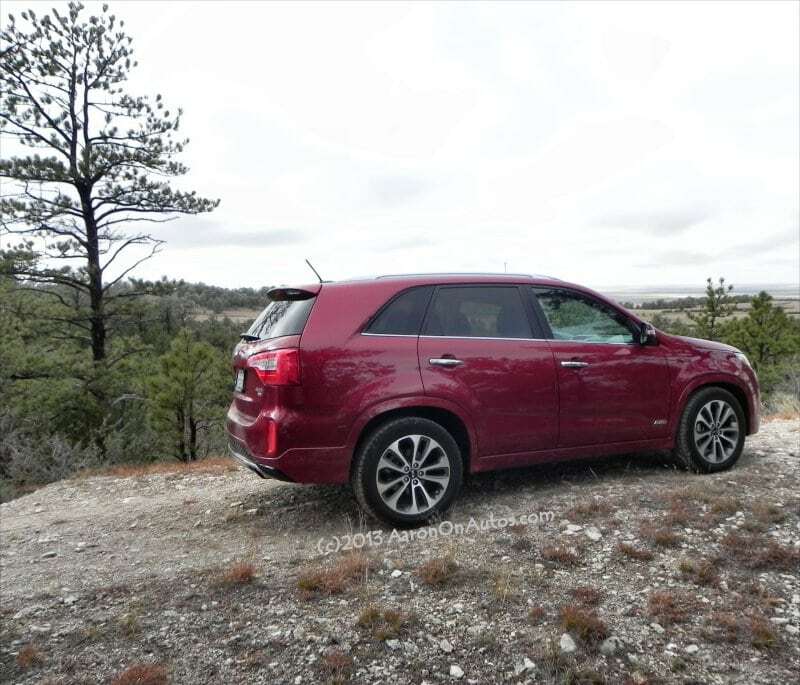 The 2014 Kia Sorento is nothing like its previous-generation predecessors. 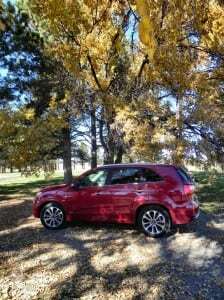 Where they were often clunky, weak in their base engine option, and long on style but short on utility, the 2014 model year brings a refined, capable, and far more posh Sorento to the market. The top-fitted Sorento SX AWD with the V6 engine option that we tested is capable of competing with some of the crossovers that fit in at a price point several thousand dollars higher than this one’s sub-$39,000 tag suggests. The panoramic roof with sunshade, crystal clear Infinity sound system, and beautiful leather trim seating can compete with the best that any of the competition has to offer. Kia’s styling revamp over the past few years has been extraordinary. Thanks to the hiring of Peter Schreyer, formerly of Volkswagen, Kia has completely revamped the Kia and Hyundai brands, bringing the tell-tale “kidney bean” front grille to Kia that has revolutionized the company’s appearance to the public. 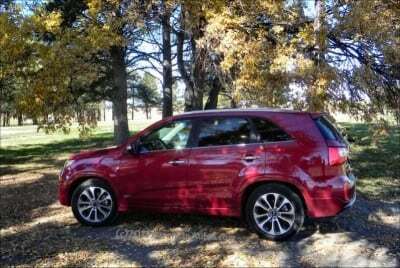 For the Sorento, not much was needed, as the previous-generation’s style was pretty spot on for the market. A few cues were added and changed, including more aggressive front fender bump, wheel well edges, and more top-shelf wheel options. The 2014 Kia Sorento otherwise keeps its characteristic clipped front and rear as well as its rounded box shape. This maximizes interior space and handling characteristics, though somewhat at the expense of a more sporty appeal for the design. 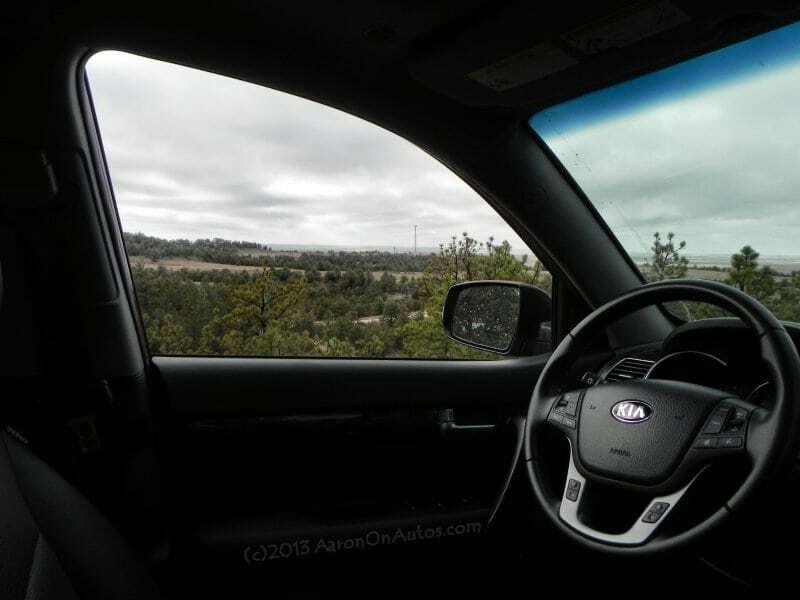 Inside, the 2014 Sorento is beautifully laid out. The base level trims are still a bit blase, with boring, but not cheap plastics and few trim pieces to set off the cabin. 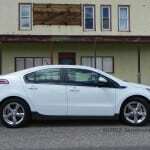 In the upper levels, including our SX trim, however, the interior becomes bold and stylish while remaining comfortable. The panoramic sunroof, however, is the real gem here. Available in most trim levels, and standard on the SX trim, its shade opens to reveal a glass roof extended back past the second row of seating to give a huge, open feel to the cabin and a great sky view for all inside. The front third of the glass opens as a normal sunroof, peeling back on itself. The seating is very comfortable, no matter the trim level, with the SX trim bringing leather and offset stitching to really bring the shine. Controls are very easy to reach and understand, the new Uvo system has vastly improved its user interface, and the hands-free, voice-activated systems are as good as can be expected with today’s technology. The first and second rows are roomy, easily accommodate five, and entry and egress is easy thanks to tall, wide doors and a relatively low stance. The third row is suitable for kids and car seats, but not much else, and cuts the cargo space down to a few grocery bags or a suitcase. 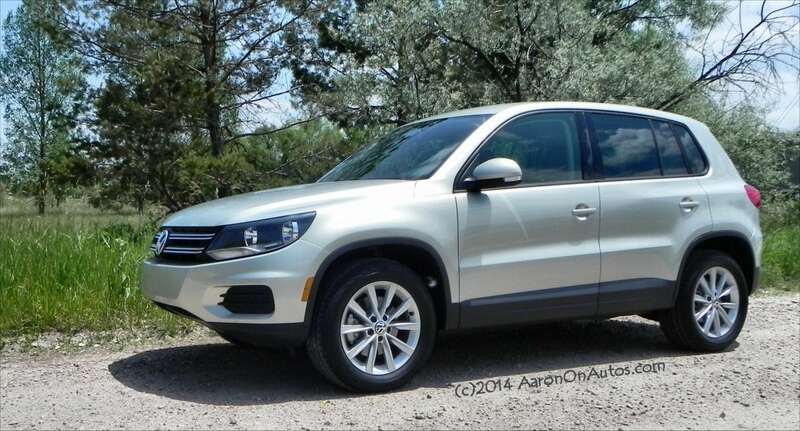 When they’re folded down (easily done with one tug of a release), though, cargo space is vast and on par with anything in the midsize crossover class. Fold down the second row and you have enough space to throw in an air mattress and gaze up at the stars through the huge panoramic roof. 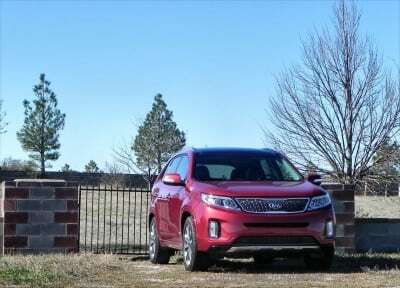 The small 2.4-liter four-cylinder base option for the 2014 Sorento (191 hp, 181 lb-ft, 22 mpg combined) is capable and efficient, but removes much of the fun factor from the drive. It offers only marginal fuel efficiency gains for that loss, so for most, only the V6 will do. 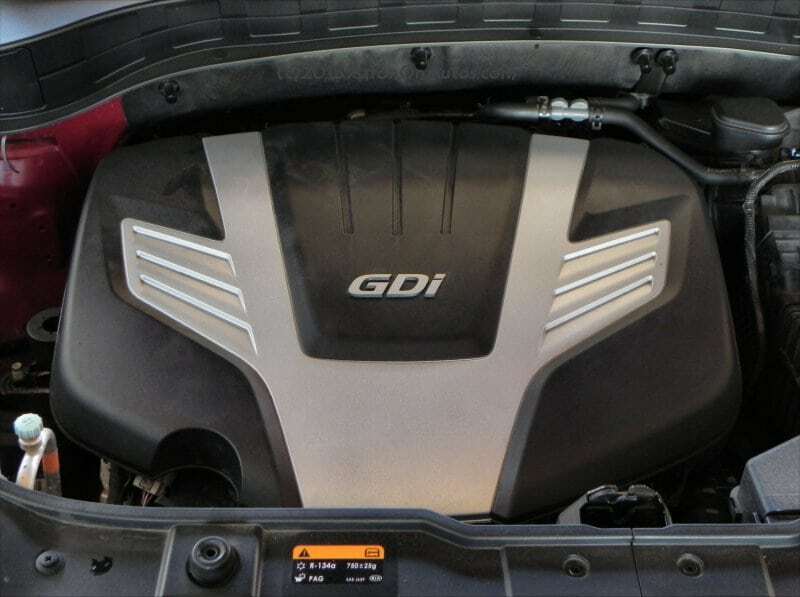 The 3.3-liter dual overhead camshaft (DOHC) gasoline direct injected (GDI) CVVT V6 outputs 290 horsepower and 252 lb-ft of torque through its six-speed automatic transmission. Front-wheel drive is standard, but for those who want better capability in ice, snow, and light offroad, the all-wheel drive is best. Fuel efficiency in the AWD is pretty good at 18/24 mpg city/highway (21 mpg combined), so the engine upgrade and better traction doesn’t cost much in terms of fuel efficiency. The V6 outputs a nice tone and good response to the driver, something many in this class of vehicle lack. For a crossover, the 2014 Kia Sorento is pretty nimble, though not excessively so. In this midsize class, driving dynamics often turn towards stability over cornering, making for a lazy, long turn and lackluster acceleration. The 2014 Sorento V6 has great acceleration (0-60 mph in about 7.5 seconds) and wonderful handling, all things considered. One of the most interesting and, we thought, cool things that Kia did here, though, was utilize the capability of an electric-assist steering system’s program-ability to allow the driver to select “steering modes” while on the road. A button on the steering wheel allows the driver to choose between Normal, Sport, and Comfort steering modes to suit the driving situation. For city and offroad, Sport mode offers a stiffer steering feel and more feedback while on the highway, Comfort mode creates a smooth, low-effort driving dynamic that suits the “sit back and cruise” attitude. 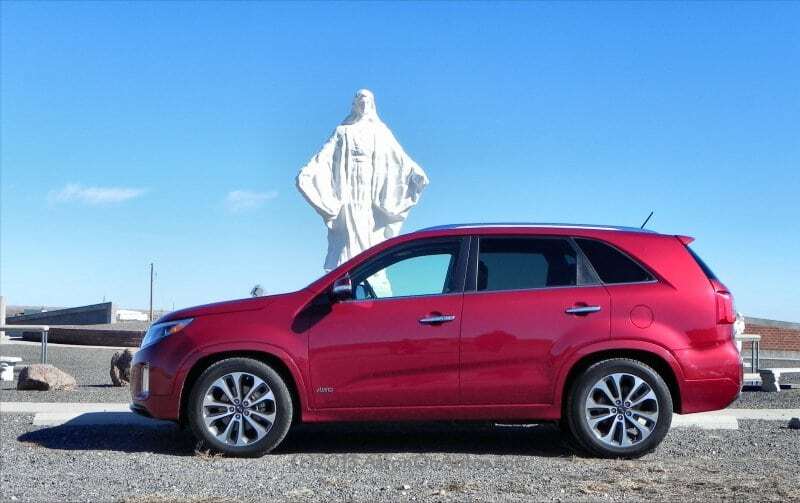 On the road, the Sorento is quiet and comfortable, though there are sportier driving options in this class. It shines in the parking lot, though, maneuvering in a way that many smaller crossovers would likely be envious of. For light offroad, the 2014 Sorento SX AWD is as sure-footed as any of its competitors in the midsize crossover segment. 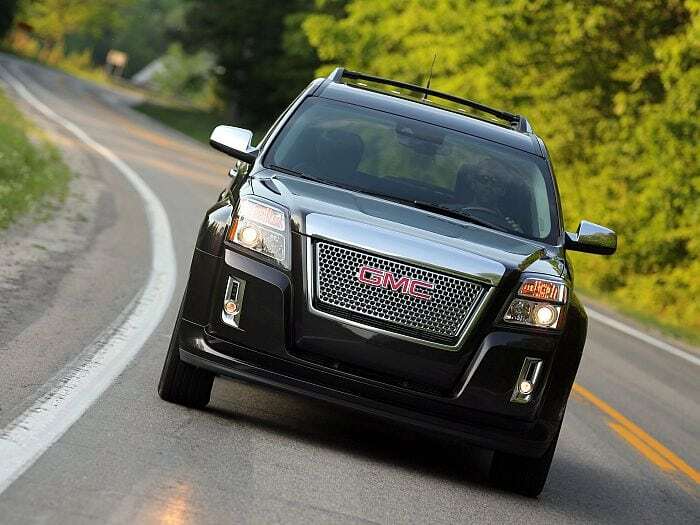 It corners well in the dirt, handles slick spots with ease, etc. It is not a rock climber or a mud bogger, obviously, but the Sorento will have no problems getting to the lake, over the field to that perfect picnic spot, or through the slush and snow in the winter. Our drive took us over several dirt roads and some light mud to get to some prime photography spots, which our gallery below will show some of . 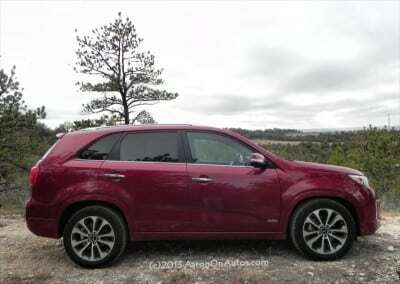 Key competitors for the Kia Sorento are the Hyundai Santa Fe, Dodge Journey, and Ford Edge. 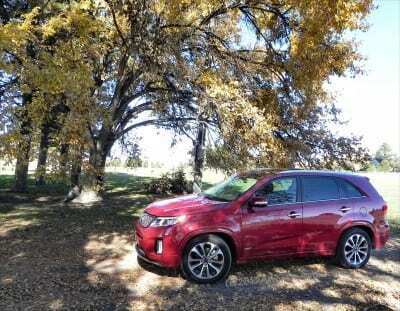 Some also compare it to the smaller Honda CR-V and Toyota RAV4, but with seating for seven and a much larger size, the Sorento is not really comparable to those two smaller vehicles. Compared to the Journey and Edge, the Sorento is a less stylistic and more contemporary-looking crossover. The Journey is a bit more capable offroad, but not by much. The real competition is its cousin at Hyundai, which offers similar styling, fit and trim for the price. For most buyers, the choice between the two will likely come down to style alone. Very well-built and nicely trimmed for the price tag. 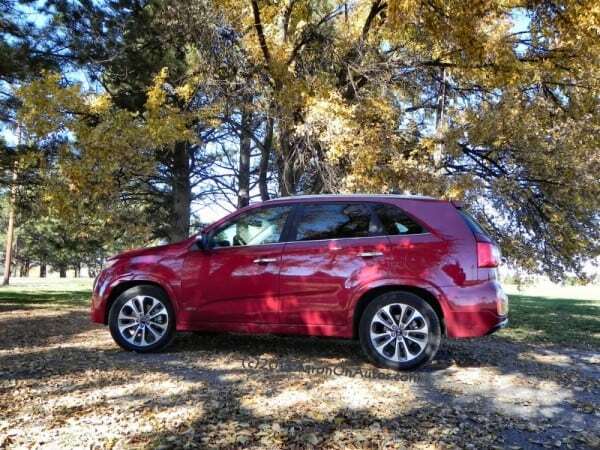 10-year / 100,000 mile warranty makes for a great selling point in what is already a nicely-done crossover. Not as sporty as some, and not as stylistically set apart as some of the competition. 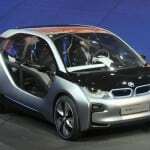 Fuel efficiency is low, though roughly on par for the segment. 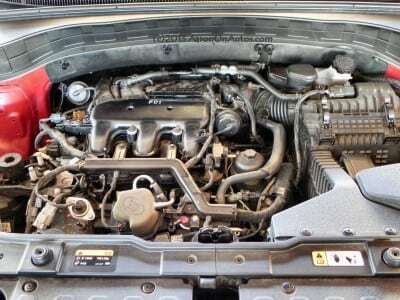 A better 4-cylinder option would likely remedy this problem. 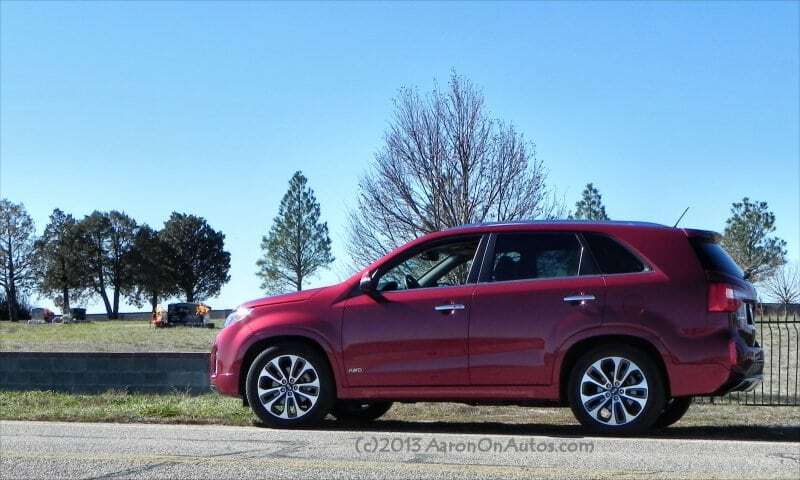 All in all, the 2014 Kia Sorento is a beautiful machine with a lot going for it. In a competitive market that has changed the way Americans look at the sport utility segment, crossovers in this size range are the cream. 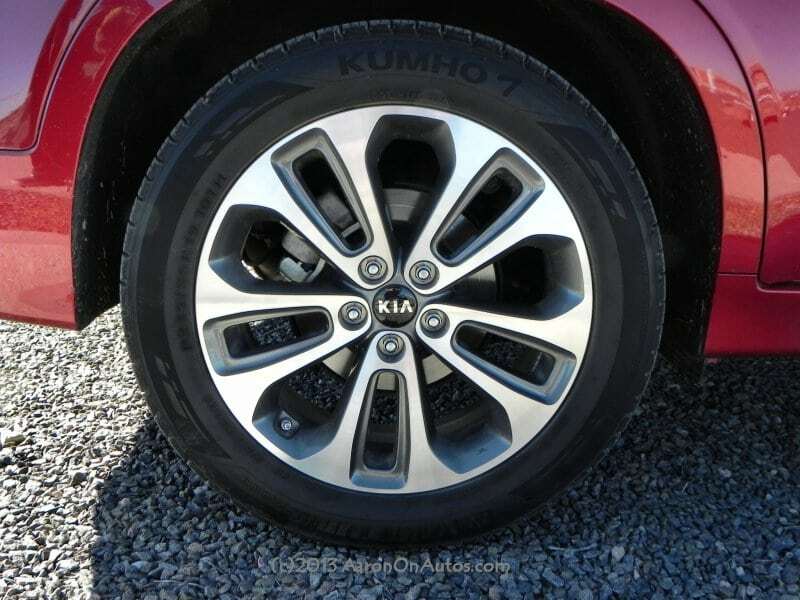 Kia has brought a competitive, well-built, and very considerate crossover to the sales floor and it should be considered by anyone looking to buy a midsized crossover/SUV as it offers far more than might be expected. Our test drive of the 2014 Kia Sorento SX AWD was in a manufacturer’s loaned vehicle for about a week of driving. 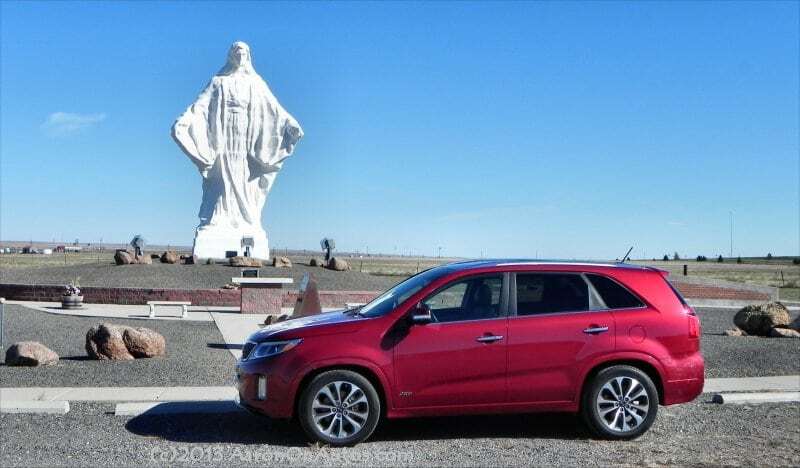 The Sorento was driven in city, highway, and light offroad situations throughout Southeastern Wyoming for a total of about 399 miles in total. 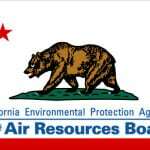 I’m looking for a replacement for my 2007 Highlander with the 3.3 liter V6. 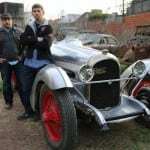 I might consider this vehicle, but the mileage is basically the same. I know that the mileage rating dropped this year in the Sorento. That is the wrong direction these days. This would be a good replacement, though I don’t think you’ll gain much in fuel economy. Still, 10 yrs/100k miles in powertrain warranty is hard to ignore.